The Art School of Peterborough has teamed up with Peterborough Regional Health Centre (PRHC) to transform the normally blank walls of the hospital’s C3 inpatient unit with colourful and engaging murals — all for the benefit of the patients. 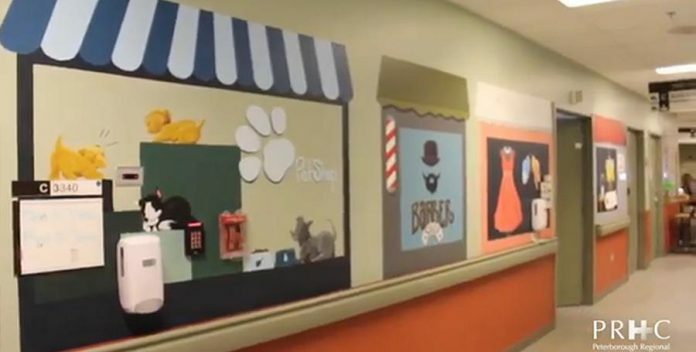 The hospital posted a video of the murals on its Facebook page on Wednesday (January 16), where it has already accumulated more than 27,000 views and over 700 reactions. Last fall, a team of 16 volunteers with The Art School of Peterborough — a not-for-profit organization located in downtown Peterborough that provides art education — painted for three days per week over two months to create the murals. 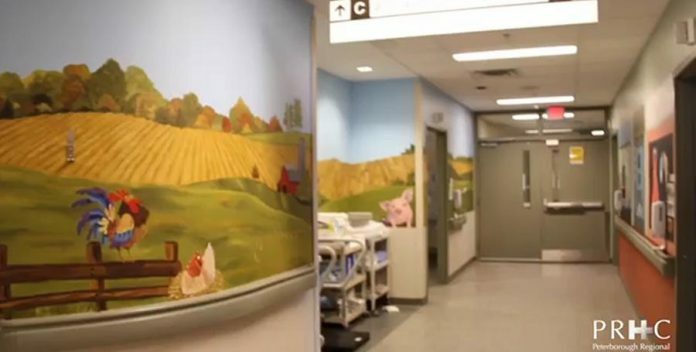 “Seeing the faces of the patients as they watch you paint the colours on the wall, you can tell it’s made a difference from when we started drawing to when actually the colour hit the wall,” says Jenni Johnston, executive director of The Art School of Peterborough, in the video. The use of murals in hospitals and long-term facilities is becoming more common. Research has shown the colours in the murals can be stimulating, and familiar and friendly scenes can be soothing and trigger positive feelings and memories, particularly for patients with dementia. In other jurisdictions, murals are being used to help disguise doors and elevators — these can increase anxiety and frustration in people with dementia by reminding them they can’t go home. 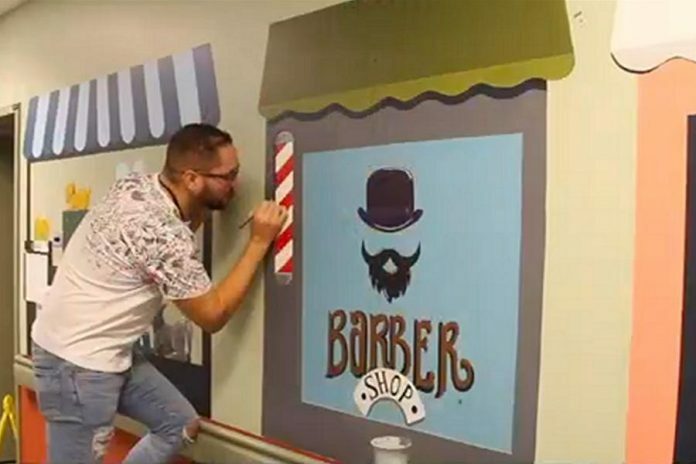 The murals at PRHC include illustrations of storefronts from the past, such as an old-style barbershop, which can encourage patients to reminisce about old memories. The murals also feature scenic landscapes and flowers. The murals have also had a positive impact on the volunteers who created them. “I think it’s absolutely beautiful how they react to the project and how they feel involved and loved,” says Miguel, project coordinator with the Art School of Peterborough. PRHC will be partnering with The Art School of Peterborough on another project in 2019, according to the video.